Digital marketing is reliant on having a comprehensive program. If your time and budget are limited, which efforts are essential? What are the most basic pieces necessary to create a productive plan? 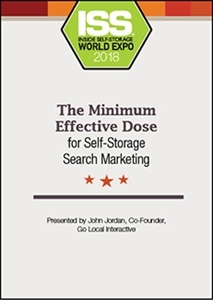 Our speaker will discuss these points of interest by answering the question: What’s the minimum effective dose for my search-marketing program?